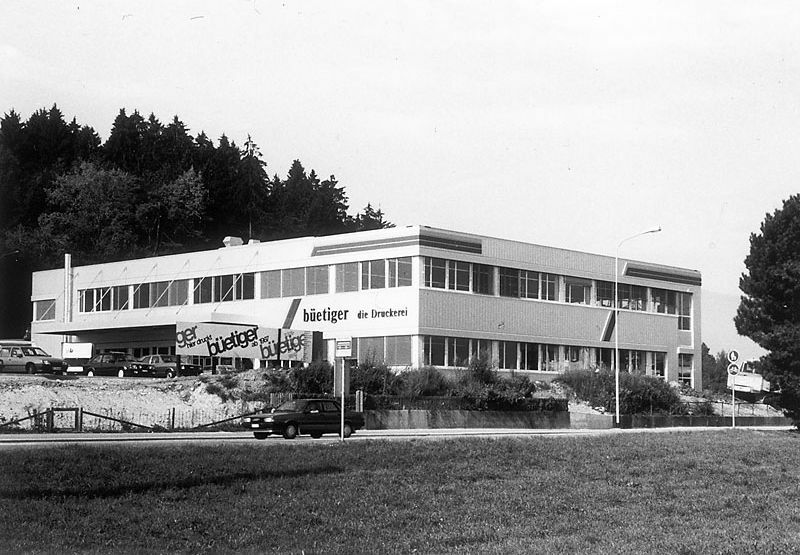 Büetiger AG has been around for more than 90 years. 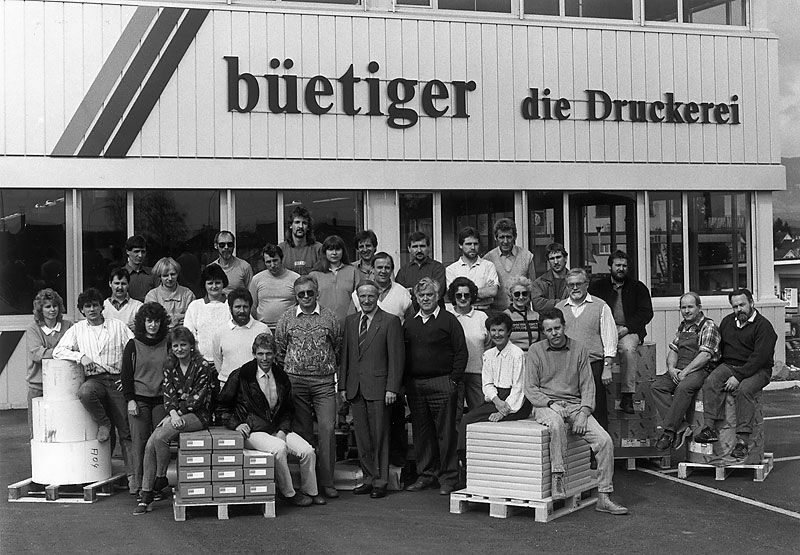 Büetiger AG has changed, progressed and struck out on new paths, as has day-to-day work in the entire printing industry. A glimpse of the past shows that history has been made in this company. Former location at the BLS station in Biberist. 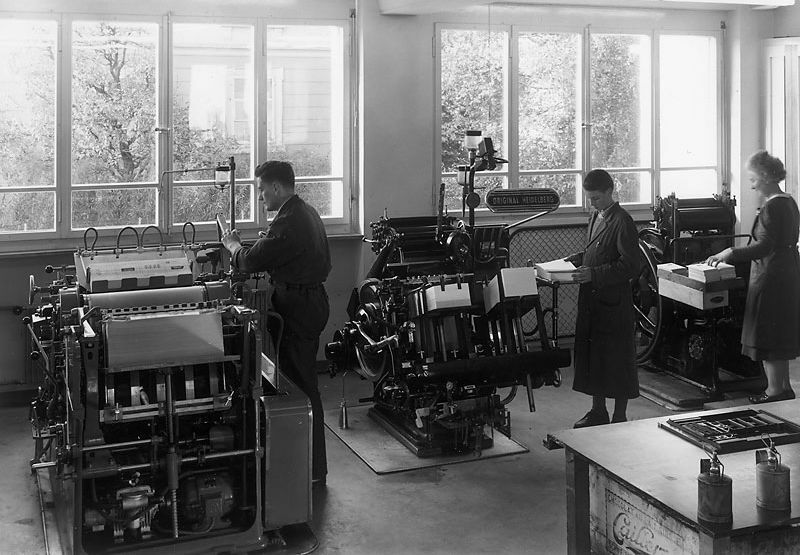 The company was founded in 1926 by Paul Büetiger, the great-grandfather of today’s CEO. 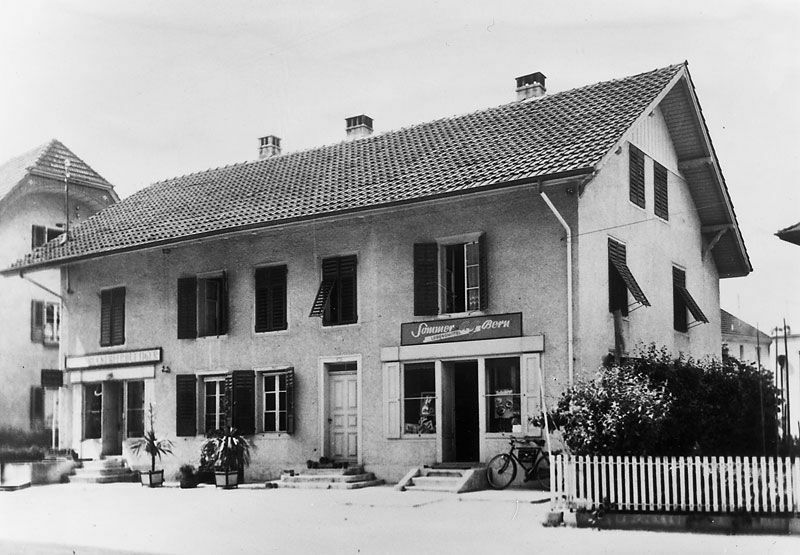 The second Paul Büetiger, the son of the company founder, joined the business shortly thereafter. 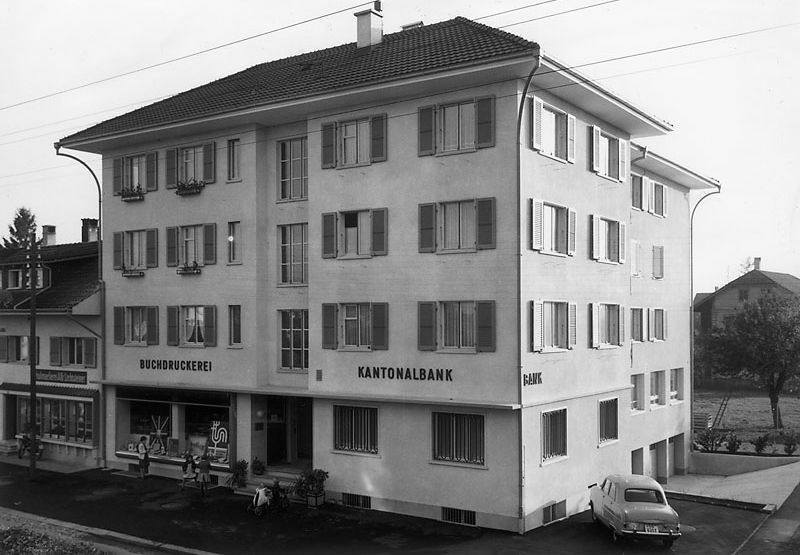 Around 1950, the two Paul Büetigers built a three-storey block in central Biberist. The firm already employed 10 to 15 staff. 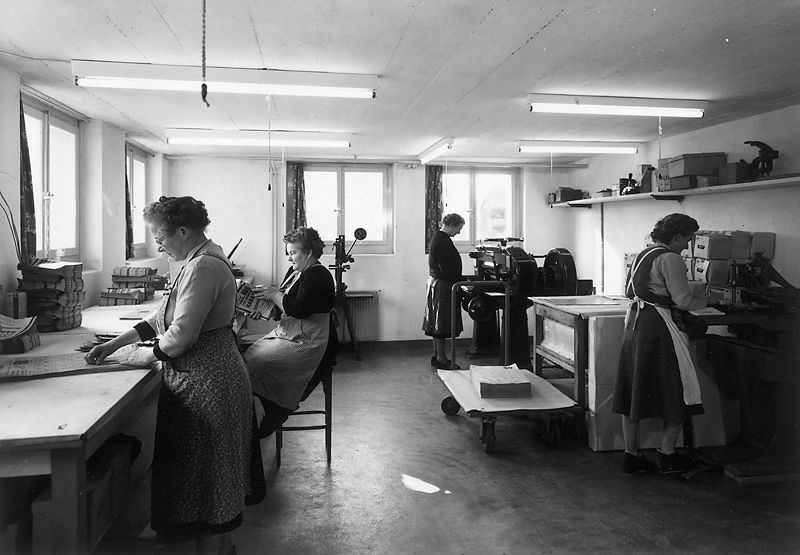 The print shop took a big step forwards in 1968: in addition to “normal” printed matter it now offered forms too. These were later joined by package insert and brochures for medicines. 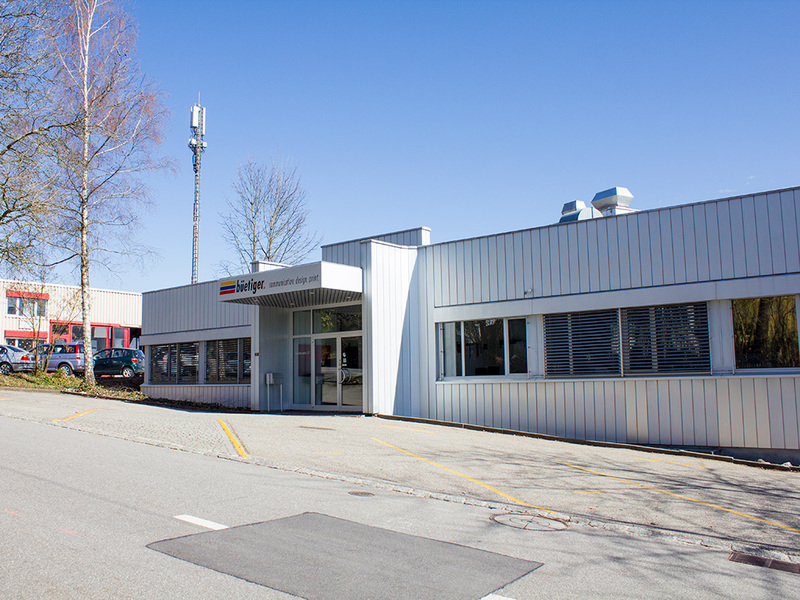 In 1987 the company moved to its new, modern premises at Solothurnstrasse 57. The third Paul Büetiger instigated the ISO certification in 1991 and restructured the firm. 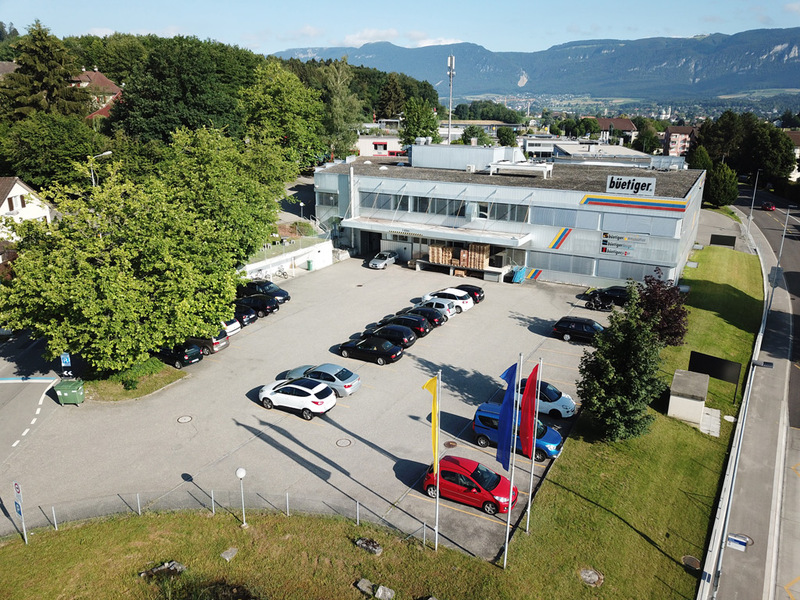 Alongside conventional printing methods and the “specialities”, Paul Büetiger set up the two departments “Communication” and “Design” in response to the new technical possibilities and to provide an extended range of services for customers. in 10 different areas of expertise. Our broad-based expertise makes us your ideal partner in the print and web sector.